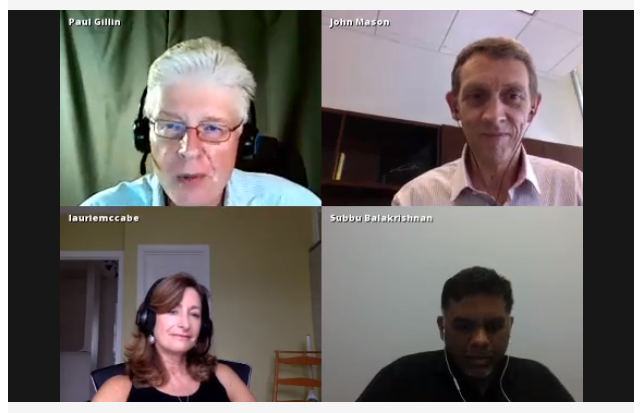 On Thursday, June 26, I participated in an hour-long IBM Business Insider Spreecast titled, “Cloud: Reshaping the World of Business,” where host Paul Gillin led the panel through a series of questions and thought points concerning Cloud and small to medium-sized businesses. There was also an associated Twitter Chat that used hashtag, #SMB4Cloud, that I participated in during the event. Though you can’t attend the live event now, you can click the link above and connect to the Spreecast and gain insight into the discussion that we had. There were a few major highlights that sprang from the panel and participants. First, is the concept that mature businesses move slower to adopt new technologies than their newer counterparts do. Startups are especially onboard with new technologies, such as cloud computing, cloud storage, and Infrastructure as a Service (IaaS). Startups don’t always have the capital to purchase infrastructure and data center space that can run into the millions of dollars for the kind of computing power required to run high capacity applications, to store big data, to maintain a potentially huge number of customers, to supply adequate bandwidth, and to provide 24×7 service uptimes. Startups have to leverage cloud computing, IaaS, and new technologies in order to get into the market and compete effectively against established businesses. Second, cloud computing allows companies, at any stage of development, to get to market faster than is possible with traditional computing infrastructure. Provisioning times with IaaS is measured in minutes rather than in weeks or in months. Third, using a cloud provider or managed service provider (MSP) allows a company to use expertise that might not be available within the company. MSPs also allows companies to leverage these skills that might be out of their salary range. SMBs can effectively compete on a scale and at a speed that wasn’t possible just a few years ago. Only large companies could move infrastructure, people, and skills fast enough and on a large enough scale to take on significant contracts. Cloud computing has opened up new possibilities and expanded business opportunities for SMBs. 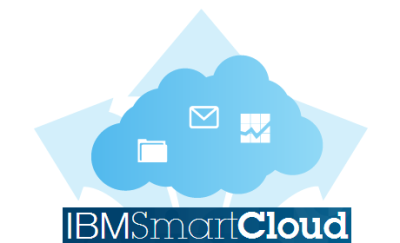 Fourth, cloud computing offers a high level of simplicity for SMBs. There are services available that are very easy to use. If the business doesn’t require a lot of customization or specialized services, then cloud usage can be as simple as a few mouse clicks, which allows SMBs to use current employee skillsets to step into cloud services without the complexity. Finally, the cloud transforms IT people into business people. Fixing computers and troubleshooting problems now shifts to a provider. IT people are now becoming more focused on business outcomes, customer satisfaction, and business growth rather than day-to-day break/fix and operational objectives of running an IT shop. Paul Gillin – Paul Gillin Communications, Host. John Mason – General Manager, Midmarket at IBM. Laurie McCabe – Co-founder and Partner, The SBM Group. Subbu Balakrishnan – CTO and Co-founder, Good.co. That statement covers the gamut of what cloud computing can do for businesses at whatever comfort or expertise level they have at their disposal. Although it’s difficult for some IT people, even CIOs, to see is that if your company isn’t an IT company, then there’s no reason to be in the IT business. Cloud makes it possible to be in the business you’re in, but have the computing power you need to run your business without becoming an IT business. Cloud computing, for some, is quite controversial, but few would argue that cloud isn’t transformative and a paradigm shift from business as usual. Businesses that want to remain relevant and those that want to become agile, or even virtual, should examine the possibilities of what cloud can offer them. If you’re considering cloud computing for your business, check out IBM’s Cloud Computing Marketplace. There’s something seductive about any product that is based on a classic style. 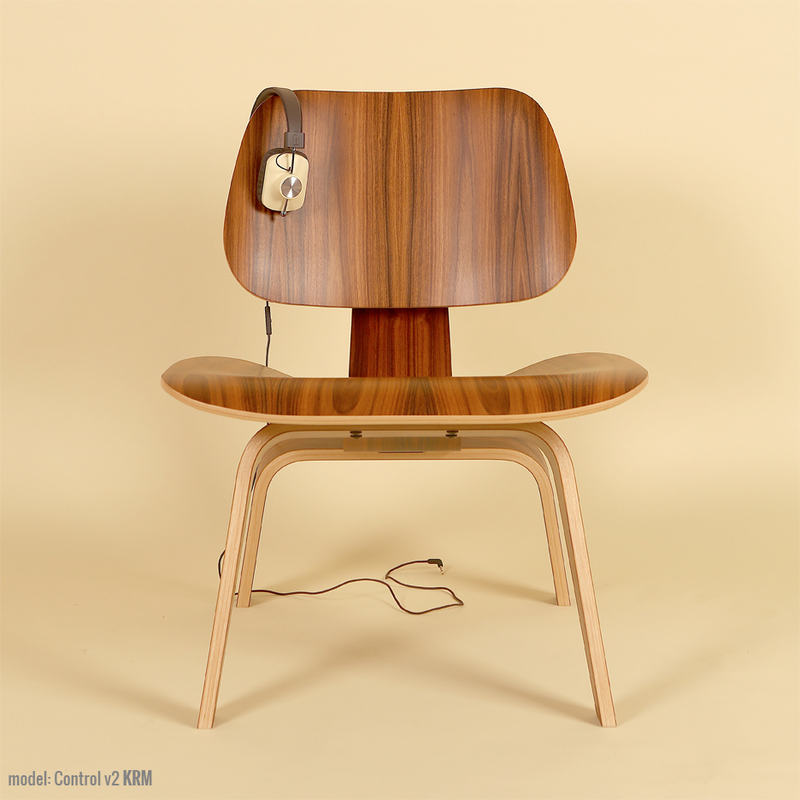 Whether it’s furniture, cars, clothes, or headphones, there’s something special in those updated retro designs. That’s what you’ll find with the Control V2 lineup of Eskuché (es-koo-chay) headphones. It’s also cool that they have an exotic sounding name. I wasn’t exactly sure how to pronounce Eskuché until I saw the phonetic helper that I’ve also provided for you. But, it doesn’t matter how the name sounds, it matters how the product sounds and this one sounds like professional-quality to me. The padded earpieces filter out all but the loudest of external noises. Even on lower volumes, I have to remove the headset to hear what someone is saying to me. The headband is also padded for greater comfort. The cord that attaches to your computer or other device is a soft, braided one instead of a rubber-coated one. Being soft and braided means that it won’t catch on other rubber-coated cords or get tangled easily. The cord is also far more forgiving than the rubber-coated ones. It moves as you do. There’s no stiffness to it. 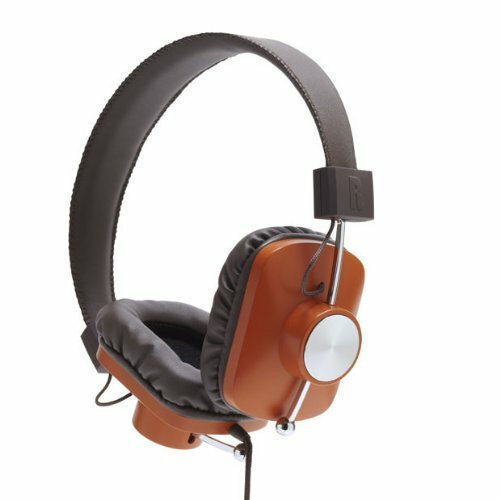 Beyond the retro styling, the Eskuché Control V2 headphones are an excellent piece of audio workmanship. The sound is clear and crisp with no fuzziness that you sometimes get with ear-covering ear cups. The headset also has a 3-button control microphone on it. Upon casual use, I didn’t notice this feature, which means that I’ve unknowingly embarrassed myself multiple times over the past week or so. I make a lot of Skype calls and I have an external microphone for those calls. I assumed, incorrectly, that this headset was just a headset and not also a microphone. I wondered why my recorder was still responding to my extraneous noises when my microphone was muted–it has a blinking light when on mute, so there’s no doubt. After having a couple of people pause during a conversation and a “Bless you,” I figured it out and fixed the problem. I went back through my recent calls to find out just how obnoxious I’ve been and it’s not as bad as I’d thought. Still, I should have read the box a bit before plugging in and assuming all would be OK. Totally my fault but be warned that the headset has a built-in microphone. Be sure that your devices are setup to use the correct input and output so that you don’t have the same problem. The pair that I reviewed are a very 1970s burnt orange color. There are other colors from which to choose: Light blue, chocolate brown, and cream. I like the colors, but if you’re really going retro, there’s another list of colors that should have been used that include burnt orange: Avocado green, coppertone, harvest gold, and that loud red color that some called “Poppy.” If you’re going retro, you’ve got to go all the way. The headset also has a music player button on the same control as the volume up/down for the microphone. If you’re using an Apple device and you press it, your music app launches and begins to play. You can also use that button for answering/hanging up your phone. Why it’s Frugal: The Eskuché is frugal because the headset is quality made down to the 90° (right angle) input jack, so that the wire doesn’t become weak and worn. The frugality comes from being able to use a device for a period of time that offsets its cost. In other words, if you could only use the headset for three months, it wouldn’t be worth the price. Three years or more is a different story. In all, the Eskuché headset is excellent. I really enjoy using the headset, especially now that I’ve discovered all of its features. The headset is well made, lightweight, durable and well worth the $60 price tag. If you’re an avid musicphile, you’ll love the great sound. If you’re a casual user, you’ll love that cool hipster, retro look. You’ll also like that soft cord that stays out of your way and untangled. If you’re a podcaster or audio editor, you’ll enjoy the comfort of the headset. Sometimes I forget that I have it on–honestly. If there’s an Apple store or a Best Buy near you, I suggest that you go and try out the Eskuché headset for yourself. There’s no amount of discussion that can match your own experience. I’ve used a lot of headsets of every shape and description and I really like this one. Recommendation: Go try them out for yourself and listen to the sound quality. Don’t forget to look in a mirror to see how cool you look. 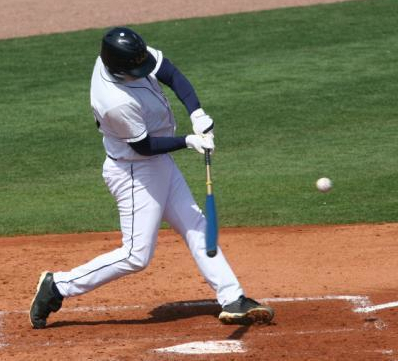 While conventional baseball strategy might dictate that you only swing at good pitches, and that a walk is as good as a hit, players from the Dominican Republic know they may only get one chance to impress a Major League Baseball (MLB) scout and get signed to a contract that will get them off the island and to the USA. And the only way to impress those scouts is to hit the ball hard. So they pass on doing what’s expected in order to focus on doing something that will get them noticed. That’s an approach ambitious IT managers should embrace when it comes to how they spend their time. However, typically the majority of their time is spent keeping the lights on – i.e. performing all the routine maintenance tasks that keep current hardware and software running smoothly. In fact, according to Gartner the budget is broken into two parts — continuing IT operations costs or “keep the lights on” money (circa 65%), and new projects for business improvement and change (circa 35%). Source: Gartner CEO Advisory: Three Changes You Can Make to the Way IT Innovation is Framed, Mark Raskino, Jackie Fenn (28 June 2013). It’s important work. Perhaps even mission-critical in some respects. Yet it’s also what’s expected, mere table stakes. In fact, you might say that while letting the lights go off regularly will certainly get you noticed in a negative way, meeting expected service levels—no matter how much skill, time and effort it reflects—will likely do little to advance your career. 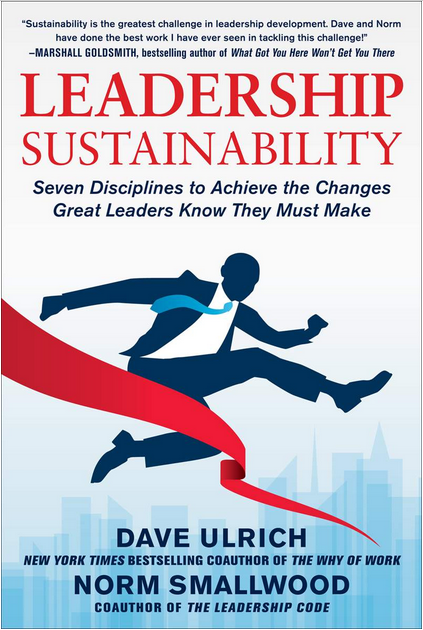 To become a superstar within the organization, you need to do something spectacular – something that helps transform the business for the better, or at least delivers noticeable value to it. 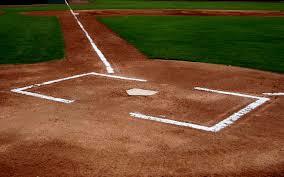 You need a home run, not a walk. But how can you hit that home run when the bulk of your day is spent monitoring, tweaking, patching and otherwise tending to the day-to-day needs of the organization’s technology? This is where bringing on a managed service provider (MSP) can help. If you can hand off most of the 65 percent “keeping the lights on” duties to an MSP, you will gain back time for you and your staff to perform more meaningful work. The right MSP can also bring you new ideas that have worked with other companies or in other industries – ideas you can suggest to your management that make you look brilliant. And “brilliant” is definitely a good reputation to have when you’re looking for a career boost. So why don’t more IT managers bring in an MSP? For many, it could be a misunderstanding about what an MSP is. They may still think of it as 1990s-style outsourcing, where entire internal IT departments were shut down and their functions moved to an offshore provider to drive down costs. Here in the second decade of the 21st Century, an MSP is not a replacement for an IT department. It’s an enhancement to it. The objective in bringing in an MSP isn’t to reduce head count; it’s to free those minds to develop the innovations and make the kinds of contributions that only internal personnel, with their deep knowledge of the business, can create in order to add value to the business. IT managers may also hesitate to bring in an MSP if their performance reviews depend on documenting a high uptime. In those cases, they may feel pressure to take personal responsibility for performing the actual work. Yet the evaluators don’t really care who keeps the lights on, so long as they stay on. By choosing the right MSP, and holding them to a higher service level agreement (SLA) than the organization might be able to commit to internally, IT managers can still meet or even exceed performance goals without having to invest a lot of time in the day-to-day operations that make achieving “five nines” uptime possible. One other factor that may be preventing the move is concern about a loss of control. IT managers may fear that the MSP will come in and start dictating policy or telling their staff what to do. Yet that’s not the way a proper MSP/client relationship works. Instead, the MSP should be viewed as an extension of your IT department, operating under the same business policies, security protocols, approval and rule change procedures etc. as internal personnel. It’s still your IT environment. The MSP may make suggestions, but in the end it’s you who makes the decisions. Once you’ve decided bringing in an MSP is a good idea, it’s time to go to bat for them; in other words, build the business case. Generally this involves identifying an area of need and showing how the MSP can fill it immediately. The MSP should be able to assist you with demonstrating the business value. They can help you identify areas of need, develop service level agreements (SLAs) that meet or even exceed your internal department’s current performance and lay out penalties if those SLAs are not met. For many organizations, the business case for bringing in an MSP is made based on staffing needs. For example, perhaps you’re having trouble finding or retaining the right skillsets to maintain the level of security demanded by the business. You can show how bringing in an MSP that already knows the security technology you’re using can solve the problem faster, and more cost-efficiently, than hiring and training a new internal staff member. After proving themselves with this project you can use it as a lever for other work. You might also consider using an MSP to provide local (or remote) support for one or more branch offices. As they demonstrate their value the program can grow until they are providing support for multiple solutions, or even the entire organization. A third possibility is in cases of rapid growth, where it is difficult for the internal department to keep up with technology patches, upgrades, user provisioning and other maintenance-type work. The cost to hire, train and provide benefits for internal resources to meet the peak demand versus bringing in an MSP to fill the gaps will likely easily justify the MSP; once they have demonstrated their value it will be easier to explain how they can take on additional work. Of course, in the end you have justify the cost by demonstrating the ROI. If the MSP can deliver the service faster and at a higher level than your internal department, that’s great. If in doing so they allow your team to get to other work that improves profitability or creates a distinct business advantage, that’s even better. Beyond the what and the how comes the “why?” Why you should make the effort to bring an MSP on board and integrate them with your in-house team? The reason is that there are several ways working with an MSP can help advance your career. As mentioned previously, the most obvious is by giving you and your team time to do great things instead of spending your days merely keeping the lights on. Rather than punching out a few singles or taking a walk here and there and hoping someone notices, you can really swing for the fences with dramatic projects that have sweeping, long-term impact on the organization. Beyond that, though, by working with an MSP you’ll gain access to a broad range of knowledge and experience your team may not possess. In their role as consultants, the MSP can offer suggestions on ways to approach a business issue that your team may not have thought of. They will likely be able to help you build the business case by pointing to other successful implementation in which they’ve participated. An MSP can help drive cost optimization as well by providing focus on your maintenance tasks. For your internal staff, maintenance involves things that have to be done, even though they may not be the most exciting. For the MSP, however, that is their primary focus with your organization, and in order to keep the engagement they must do it well. This focus will help you ensure your environment is kept current with all patches and updates. It will also help you avoid staffing challenges by having a “bench” to call on when the situation requires it. It could even help you lower your costs. Most importantly, though, it will give you and your staff time to focus on areas that are core to driving the business, which will make you look like an all-star to the front office. The overall impact of these contributions is they show you to be more strategic and less tactical. Which is exactly the impression you want to make when you’re looking to advance your career. Just as no one ever walked their way off the island in baseball, it’s highly unlikely you’ll advance your career by doing only what’s expected. You need to do things that have a positive, noticeable effect on the business. Working with an MSP can give you the time, knowledge and resources to make a major league improvement in your organization while helping you move to the top of the lineup for your next job. And that’s a home run in anyone’s book. Patrick Zelten is the vice president of managed services for Forsythe, a North American IT infrastructure integrator headquartered outside Chicago. He can be reached at pzelten@forsythe.com. By a show of hands, how many of you need to know, or want to know, the total cost of ownership (TCO) of your technology investments? Fine. Now, how many of you need to calculate the return on your technology investments (ROI)? Chances are very good that if you raised your hand at either or both of those questions, you’re a company manager, a C-level executive, a project manager, or a marketing representative. You have a vested interest in knowing the numbers behind a technology investment. No one has enough power to make capital purchases without answering to someone for them. Sure, there are some intangible returns reaped from using the best available technology but subjective value is difficult to put on a graph. It’s even more difficult to explain to shareholders. Perhaps the best way to gain an understanding of ROI, TCO, and value is to use a disinterested third party to give you an unemotional, objective assessment. IBM understands the value of doing just that. That’s precisely why IBM has enlisted the services of Alinean, Inc. Alinean, Inc. (Alinean) is a company that develops “economic justification tools” for business-to-business (B2B) vendors. Alinean developed the IBM PureFlex System TCO Analysis Tool to compare the total cost of ownership for the IBM PureFlex System versus a traditional dedicated or virtualized IT infrastructure. To use the IBM PureFlex System TCO Analysis Tool, you’ll need some assistance from your technical team leads. There are questions that refer to server groups, hypervisor type, databases, application servers, storage tiers, and virtual machine configurations that you’ll have to know to complete the Requirements section (tab). Based on the information you provide in the Requirements section, the tool calculates the IBM PureFlex Systems equivalent hardware and software requirements and the total cost associated with the transition*. The final page of the report compares your current solution to the IBM PureFlex equivalent. Given in the analysis are costs from capital outlay such as hardware, software, licensing, and storage. There’s a section outlining estimated operating costs from support contracts, support labor, and facilities. There are also sections that calculate employee productivity and revenue impacts. The TCO Analysis page also summarizes your initial investment expenses, your five-year expenses, your total five-year benefits, your total ROI, and estimated payback time in months. The calculator also provides you with a graphical representation of the costs associated with your current solution versus the equivalent IBM PureFlex one. 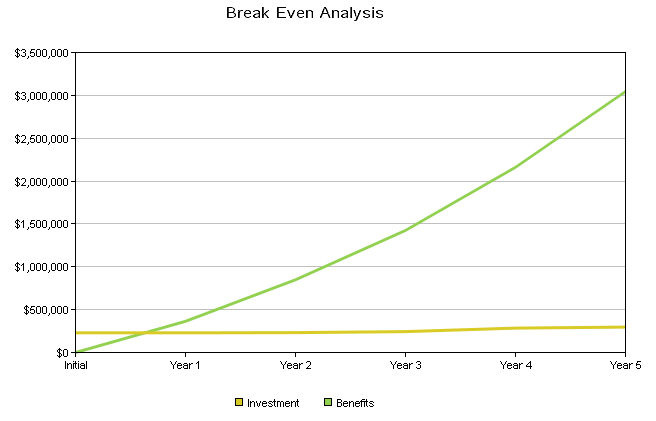 Finally, the report presents you with a graphical Break Even Analysis displaying your costs vs. benefits over a five year period. As with any such automated analysis, there are factors that are specific to your circumstances that might alter your actual numbers and outcomes. This calculator provides you with a reasonable estimate based on your answers to the questions but can’t evaluate every scenario. I challenge you to dedicate a few hours of research into your current solution and invest fifteen minutes into the TCO/ROI Tool to make the comparison. This PureFlex System comparison could save you a significant amount of money–a move that makes everyone happy–from managers to shareholders to customers. Take the IBM PureFlex Systems TCO challenge and post your savings numbers here as proof of the possibilities of moving to a PureFlex environment. *As noted on the IBM PureFlex System Configuration page, the cost of training is not included in the price, since this number will vary depending on several factors. Managed Service Providers (MSPs) have taken on a whole new role in the IT service and support business—that of the Agile Business Enabler. And this moniker isn’t just another marketing buzzterm, it’s a real thing. Since Chuck Calio has told us What a next-generation MSP looks like and Timothy Tsao has told us not only what a next-generation MSP looks like but also how it acts, I’ve decided to focus on one particular aspect (#4) of Timothy’s described actions—agility. In my opinion, agility is the most important “action” that an MSP can take to increase its business by enabling its customers to become more responsive to marketing campaigns, to changing business needs, and to the needs of its customer’s customers. Business agility is the ability of a business to respond to, to act on, and to predict business trends. Whether those trends are driven by new technologies, by the latest fad, or by the season; businesses need to respond quickly and decisively to these changes. 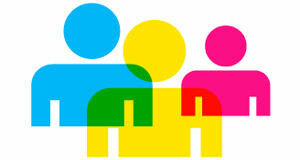 The role of the MSP is to enable their customers to do this seamlessly and without intervention. The best strategy for MSPs to enable businesses to become agile is to create customer portals that allow for automated infrastructure management. Many MSPs already have such portals in place but perhaps the missing link is the scalability of the solutions offered to customers. That single term, “investment” is the most important one in that sentence. As both Tsao and Calio state, cloud services are trending toward commoditization. Investment in next generation technologies requires capital expenditure, which means a lag time between that investment and its financial return. This situation often results in a fiscal Catch 22. You can’t invest until you have the business justification for it and you can’t acquire new business until you’ve made the investment. I believe that MSPs must take the risk and invest in a “Field of Dreams” approach to acquiring new business and enhancing services for current customers. The way MSPs become next-generation MSPs is through investment and through this new agility-enabled approach to their customer’s businesses. In other words, for MSPs to realize a next-generation shift, they must focus on their customer’s businesses and their customer’s customers. That, in part, is how I define “next generation.” The MSP must not only invest in new technology but also must focus on that next generation of customers.